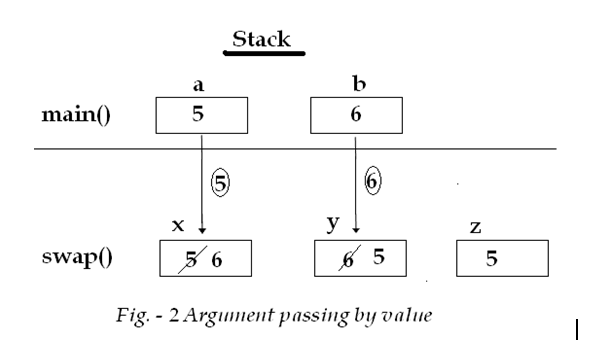 o Only static data members of a class can be referred in a static block or method. 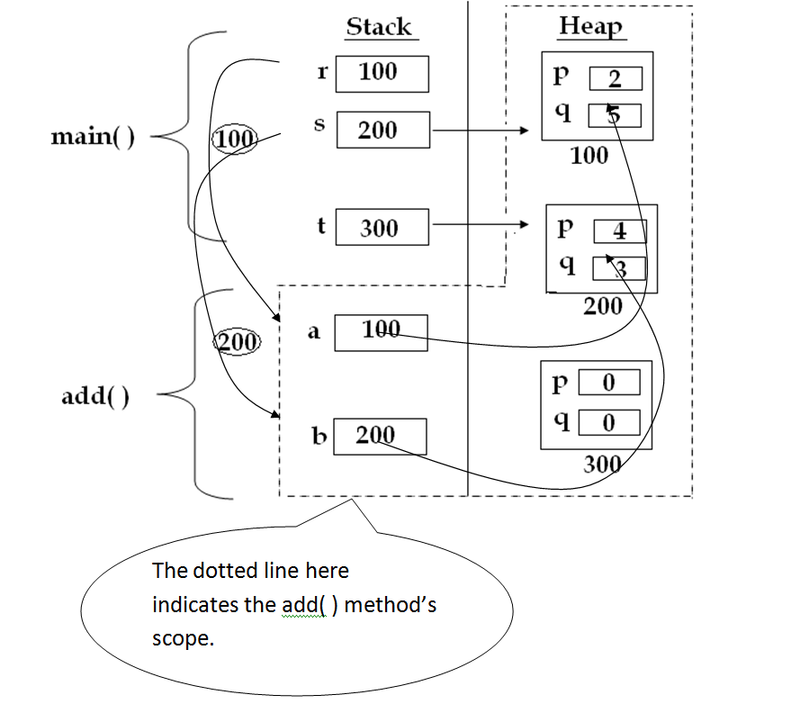 o A static block or static method can directly invoke only static methods. o ‘this’ and ‘super’ keyword cannot be used in a static method or in a static block. 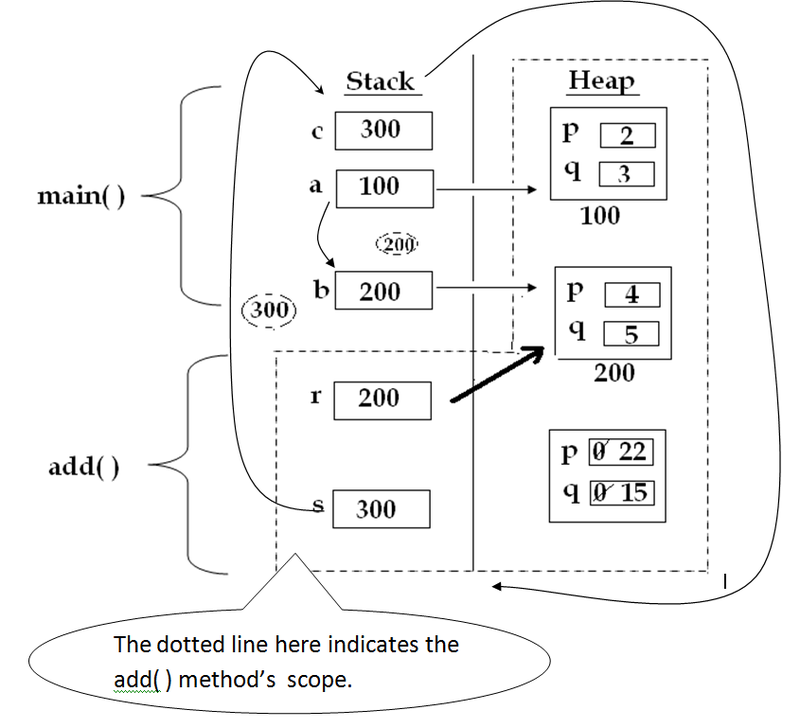 Now, as we saw that we can do almost everything without having main( ), then why we need main( ) in our program? In the sessions ahead, we will get the answer. 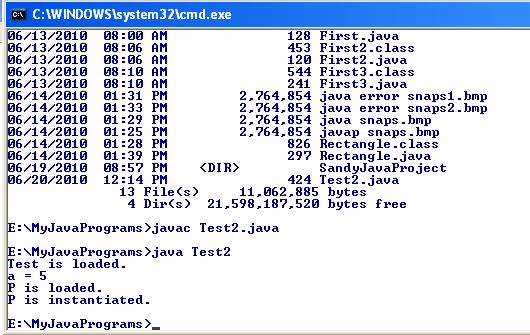 In Java, primitive type arguments are passed to methods by value i.e. their copy is created in the invoked method. 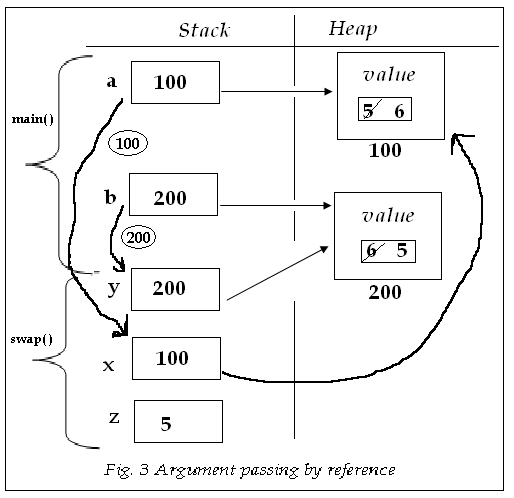 Objects are passed by references i.e. in case of objects, copy of their reference variables is created in the invoked method. 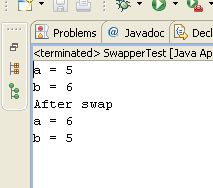 Now the program below is written to swap the values. Observe it carefully to understand how this issue is being resolved. Our purpose is not solved. Let’s see the reason for this. Now, let’s find out solution to this problem. 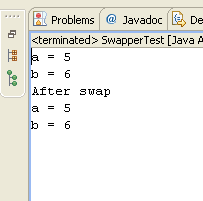 Now the problem is fixed as you can see the value is swapped. We handled it by passing value by reference. Question. 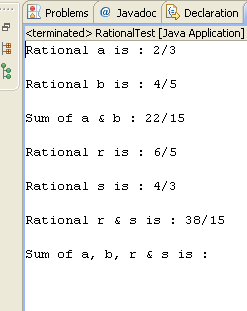 Define a class named Rational that contains 2 data members to store the value of numerator and denominator of a rational number, default & two parameterized constructors, a display ( ) method that displays the value of a rational object in form and add ( ) methods which are referenced by the following class.